Last week, a woman named Johnna left a series of comments here and she mentioned that she was having difficulty making decisions about how to renovate her Eichler home. 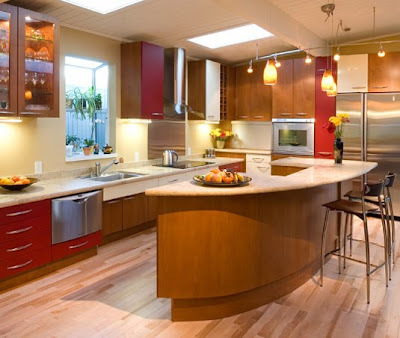 She wanted to update the kitchen particularly, but in a way that honored the architecture of her home while still allowing the business of life in 2009 to proceed efficiently. 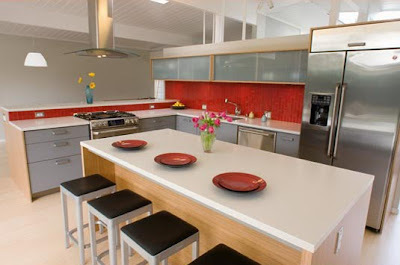 Well, the terrific website Styleture ran a story yesterday about that very thing, updated kitchens in Eichler homes. So with all attribution to and great admiration for Styleture, I'm going to talk about the same thing. But first a little background. Johnna, if you're reading this, you can skip this part. 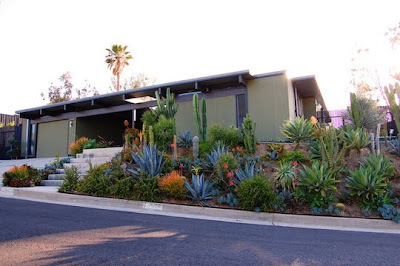 Joseph Eichler was a post-war, California real estate developer who built homes in a Modernist style. He worked with some of the most notable architects of the time and together the style of their buildings came to be known as California Modern. California Modern was a middle class homage to Mies van der Rohe and Frank Lloyd Wright, among others. The homes featured exposed beams, vaulted ceilings, open floor plans and they pioneered the idea of indoor/outdoor living through the use of enormous windows and sliding patio doors. California Modern is what gave the rest of the world the very idea of a great room. Most of the remaining Eichlers are clustered in the suburbs of of San Francisco and there are pockets of them outside of LA and into Orange County. Nothing screams California to me like an Eichler and about the only thing that could get me to pack up and head to suburban San Francisco would be the chance to live in one. 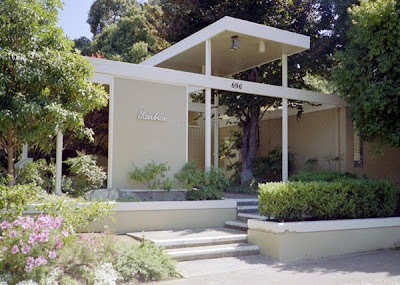 Eichler homes were were revolutionary for a host of reasons that transcend architecture. Eichler built affordable homes for everyone. In 1950, Eichler Homes instituted a policy that stated that they would sell to anyone without regard to race or religion. He had a vision of an integrated, modern suburbia at a time when such views were considered to be beyond the fringe. The National Association of Home Builders refused to endorse his non-discriminatory policies and in 1958, he resigned from the group in protest. All hail Joseph Eichler. Eichler homes never really took off while they were being built and Eichler eventually went bankrupt in the mid-sixties. He left behind an architectural and cultural legacy and today his homes enjoy a fanatical popularity he could never have imagined. 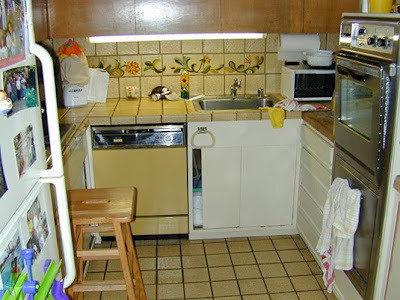 Now I want to stress that this is not Johnna's kitchen, but here are two before photos of a a kitchen in an Eichler in Palo Alto. Here it is post-renovation and ADA-compliant. Oh my oh my is that gorgeous or what? 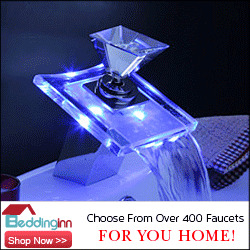 It does everything it needs to do while honoring the home in which it sits. I'm getting goosebumps. And Johnna, here are a couple more inspiration photos. If you have never spent any time poking around on Styleture, please add that site to your reading list. Styleture has an expanded look a the Palo Alto, ADA-compliant renovation and you can find it here. 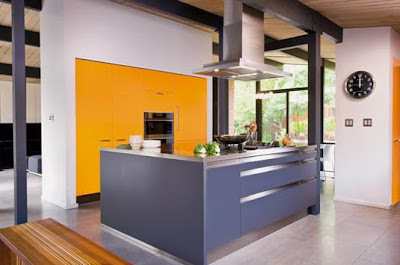 All of the cabinetry in the Palo Alto house is by Alno USA. OK, I swear I am not making this up. My Dad is planning to move to Portland and I found a house for him to offer on. It "coincidentally" happens to be an authentic Rummer house. 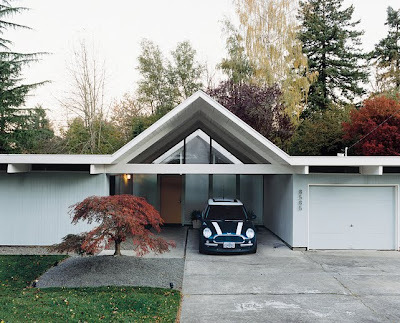 Rummer is a northwest builder who really loved Eichler homes and copied them here in Portland. 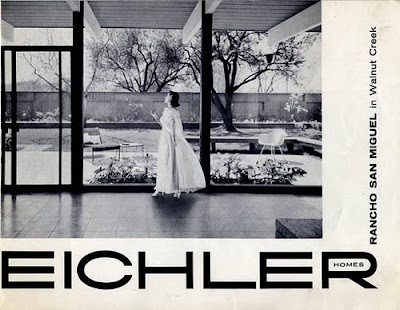 So right when styleture had that piece, I was googling "Eichler kitchen" and "Rummer kitchen." I found the styleture story, and THEN saw it being tweeted and RT'ed. Paul, what a post! I feel like a rock star wrote a song just for me! We had a little rain today and a little sun, and I was loving the weather show from my Eichler. 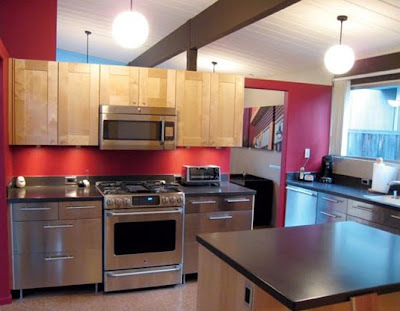 I love that stainless steel and color work so well in an Eichler. My friend in Oregon told me about Rummers. Rachele, I'm crossing my fingers for you and your Dad. You have your finger on the pulse Rachele. We have our local versions of Eichler here too. I love to clean 'em up and get them back in line with how they were designed originally. There you are Johna! When I saw that Styleture had run that story yesterday I thought of you immediately. Styleture's done a couple of posts about Eichler renovations, so there's inspiration aplenty for you. Johnna, I'll be so excited to see what you decide. I'm gathering ideas for our very own kitchen redesign, and can't wait for your play by play. I only wish I was living in an Eichler! 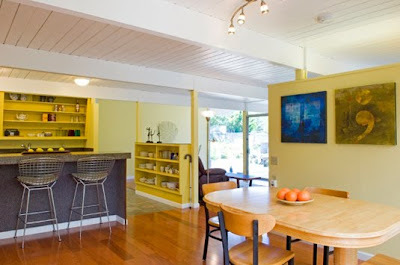 Eichler or not, I'm always intrigued by how mid-century modern aficionados deal with kitchen renovations. Photos! Azúcar, thanks for dropping by. 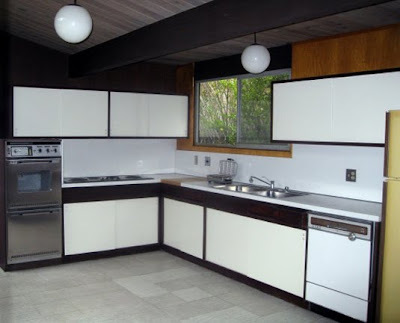 Here are many pictures of my Eichler kitchen. It was remodeled in the 1970s and I think they did a very good job. 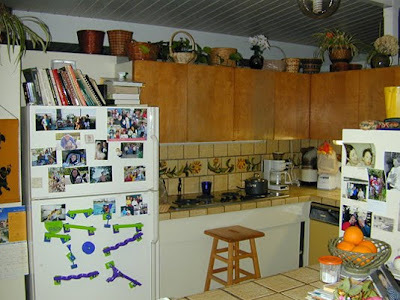 But as I would like a gas cooktop and reopening that wall, I'll probably end up entirely redoing the kitchen. That's really great Johnna, thanks for posting those shots. Whoever renovated that kitchen the last time really did put a lot of thought into it.